Australian pharmaceuticals firm Strides Acrolab has made its foray in the Australian market again with its recent acquisition of Aspen Pharmacare’s generic pharmaceutical business at a reported acquisition cost of Rs 1910 crore. The development paves the way for Strides Acrolab into the Australian market with an acquisition of a ready portfolio of Aspen’s 130 products comprising of pharmaceutical business (with certain branded pharmaceutical assets). As a part of the deal, the product pipeline that was under development by Aspen and a number of major product launches slated for the next six months has also been considered. The acquired products had sales of 120 million Australian dollars in the fiscal year ended June 2014. The business will operate under Arrow Pharmaceutical brand, as reported by PTI. The transaction has now achieved closure on completion of closing conditions and statutory and regulatory approvals, Strides Arcolab said in a BSE filing. “The acquired business will be integrated and consolidated with Strides effective September 1, 2015,” it added. 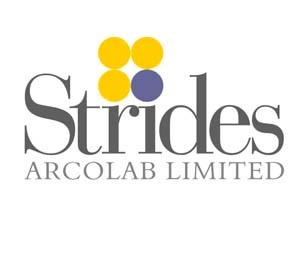 In May this year, Strides Arcolab had announced signing of agreements to acquire a generic pharmaceutical business in Australia and certain branded pharmaceutical assets from Aspen. In 2012, Strides Arcolab had sold its entire stake in Australian subsidiary Ascent Pharma health to Watson Pharmaceuticals for 375 million Australian dollars.